Dr. Domino is Professor and Vice Chair for Clinical Research in the Department of Anesthesiology and Pain Medicine and Adjunct Professor of Neurologic Surgery at the University of Washington, School of Medicine in Seattle. She completed medical school at the University of Michigan, resident/fellowship training at the University of Pennsylvania, a Master in Public Health in Health Services at the University of Washington, and a national health policy fellowship based at the National Academy of Medicine. Dr. Domino is a Commissioner of the Washington State Medical Quality Assurance Commission. For over 15 years, Dr. Domino has been director of the Anesthesia Closed Claims Project and Registries, funded by the quality component of the American Society of Anesthesiologists, the Anesthesia Quality Institute. This project investigates adverse outcomes of patients undergoing perioperative anesthetic care and acute/chronic pain management by analysis of closed files at national malpractice insurance organizations. The project established specialized patients registries to collect additional medical information concerning rare perioperative complications, including pediatric cardiac arrest, postoperative visual loss, postoperative respiratory arrest, and awareness during anesthesia. Results from the Anesthesia Closed Claims Project and Registries have been implemented into practice to improve anesthesia patient safety. In 2014, Dr. Domino was the 53rd Emery A. Rovenstine Lecturer at the ASA Annual Meeting. Her lecture entitled "Healthcare at the Crossroads: the Imperative for Change", described vast financial pressures in healthcare and how and why the specialty of anesthesiology needs disruptive innovation to meet the challenges of the future. Since the birth of her son, Casey has been a strong partner and advocate in the systems of care that support children with special health care needs. 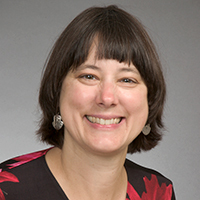 As a member of the Dartmouth-Hitchcock Manchester Family Advisory Committee, she works closely with patients, family members and providers on quality improvement initiatives. She is also a member of the New Hampshire Healthy Families Member Advisory Board, that works with all aspects of insurance and enhancing the quality improvement program. 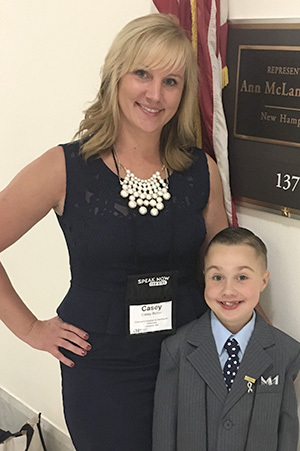 Casey is the driving force behind Parker’s Law, enacted in 2012, which established statewide pulse oximetry testing for all newborns in the state of NH to identify critical congenital heart defects. Her willingness to share her family’s experience and story has impacted not just those who support her family but the system that supports all families. 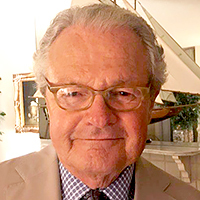 Dr. Coté is a Professor of Anaesthesia (Emeritus) at Harvard Medical School and is Board Certified in Pediatrics, Anesthesiology, and Pediatric Anesthesiology. He has had life-long interest in sedation practices and has been the primary author of every Sedation Guideline for the American Academy of Pediatrics since 1985. He has published a textbook in pediatric anesthesia (A Practice of Anesthesia for Infants and Children, Sixth edition 2018) and multiple peer-reviewed publications, reviews, editorials, and clinical practice guidelines. 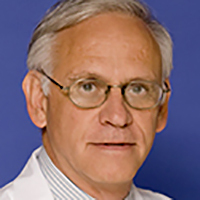 Dr. Gutheil is Professor of Psychiatry and co-founder of the Program in Psychiatry and Law, Beth Israel Deaconess Department of Psychiatry, Harvard Medical School; he is the first Professor of Psychiatry in the history of Harvard Medical School to be board certified in both clinical and forensic psychiatry. An internationally known forensic psychiatrist and author of over 300 publications in the national and international clinical and forensic literature, Dr. Gutheil has served as a consulting or expert witness in more than forty states. 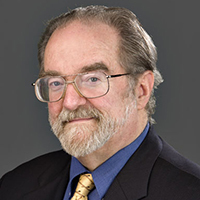 Recipient of every major award in the forensic field and multiple teaching and writing awards, he is also the recipient of the 2000 A. Clifford Barger Lifetime Achievement in Mentoring Award, Harvard Medical School. Dr. Gutheil lives and works in the Boston area. Mr. Hilliard is the former Undersecretary of Health and Human Services in the Commonwealth of Massachusetts. He is also a partner in the law firm, Connor and Hilliard, P.C., and an Assistant Professor of Psychiatry (Legal Medicine) at Harvard Medical School. In addition, Mr. Hilliard is the co-author of the book "The Essentials of Massachusetts Mental Health Law: A Straightforward Guide for Clinicians of All Disciplines." 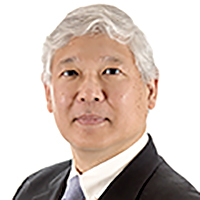 Dr. Sato is Senior Vice President and Chief Medical Officer (CMO) for CRICO and Assistant Clinical Professor of Medicine at Harvard Medical School (HMS). His current responsibilities include overseeing development of all Patient Safety programs for CRICO and coordinating these initiatives across the Harvard medical system. Dr. Sato's clinical training is in neurology and in computer science/medical informatics through the Division of Health Sciences and Technology at HMS and Massachusetts Institute of Technology, a National Library of Medicine sponsored post-doctoral fellowship program. He has applied industry principles and best practices to clinical risk management and patient safety and has developed several methodologies to analyze medical malpractice claims and patient safety data. Before he became CMO, Dr. Sato was the Chief Information Officer for CRICO where he oversaw all system application development. Prior to CRICO, Dr. Sato was staff at the Brigham and Women's Hospital (BWH) and held the position of associate director of a medical informatics research and development laboratory at BWH and Harvard Medical School.